The best poker movies tend to blend action, suspense and of course, actual poker playing, into one enthralling mix that keeps viewers both entertained and excited. It would be foolish to assume that everyone in a general audience consensus would willingly sit through a two hour game of poker, but when you factor in plot lines, love interests and character motives, it makes for captivating viewing. With that said, here’s our top picks that manage to mix bluffing with brilliance. One of the world’s most successful poker professionals, Daniel Negreanu, has called for poker to become an Olympic sport. While to some this idea may seem ludicrous, to the poker-playing world, it seems a perfectly reasonable proposition. And for the millions of people who can’t sprint 100m or dribble a ball, but can play and win poker, it opens up a world of future possibilities. 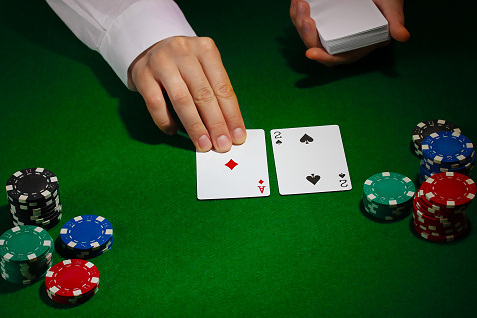 Thanks to the popularity of poker, well-known online gaming brands such as 32Red.com, 888 and Sky have brought poker into the mainstream. The fact that so many people now have an interest in playing poker recreationally means they would be more likely to tune in to poker playing if it did become an Olympic event. There’s a new kind of bible in town – and it’s unlike anything you’ve seen before. We all know games of cards for what they are – a social pastime that can get men and women together in a variety of situations, from informal game nights to fighting to the death poker rounds. Poker, by its very nature, is a game, and is often overlooked in the media, save for a few references in Robert DeNiro movies. This is to become a thing of the past however, as the geniuses over at Titan Poker have added a new facet to their world of online gambling. The poker addicts have fused the controversial topics of religion and gambling, coming up with a recipe for laughter – the poker bible. As its blurb states, The Poker Bible is a humorist book made up for poker fans connecting both the world of the Bible and its scripts and that of the poker game. The Bible, as it is so blasphemously known, has also been transformed into a tongue in cheek cartoon movie, with a trailer voice over so familiar you might just think you’re listening to Morgan Freeman. Watch this trailer and you might just think you’re watching Morgan Freeman. So how exactly can the chalk and cheese topics of gambling and religion be married up into a new fad? Well it would appear that the two are not quite so different after all. 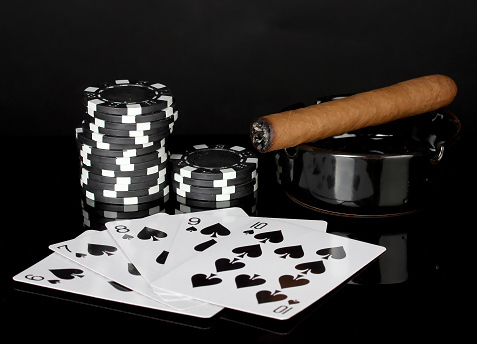 In fact, many people think that poker evolved just 150 years ago, when in reality, the game has been proven to have dated back to biblical times. 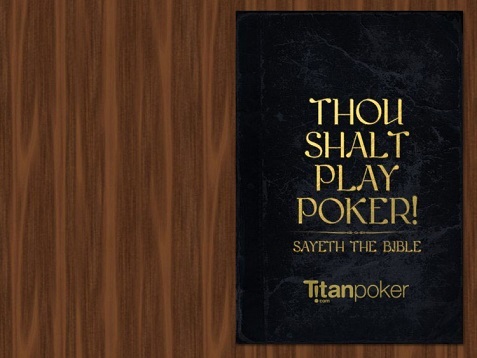 While it may not get you into heaven, the Poker Bible is the poker fan’s go to guide for the rules and regulations of poker, without having to get too bogged down in the details. If good old fashioned praying and church attending isn’t working out for you, you may just find yourself a little more fortunate in life if you stick to this good book.